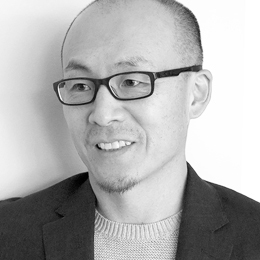 Scott Shim is professor of industrial design at the University of Notre Dame. Professor Shim has actively pursued a variety of research topics through the overarching mindset of ‘Contextual Application of Design Thinking,’ encouraging him to tackle unconventional wicked problems that connect humans to culture, society and technology. Shim is also fully invested in interdisciplinary collaborations and opportunities to search for collective approaches in identifying innovations and responsive solutions. His design work is recognized internationally with many of his projects appearing in a number of global publications, including the cover of TIME magazine. His professional experience includes more than 10 years in product development, during which time he obtained more than 30 design patents and multiple IDEA accolades. He spent a majority of his professional career at Daewoo Electronics Design Center, where he managed various consumer products. Shim continues to be active in design practice and consulting for both domestic and international clients. He is an IDSA member and has served on the IDSA Board as the vice president of education in the past.